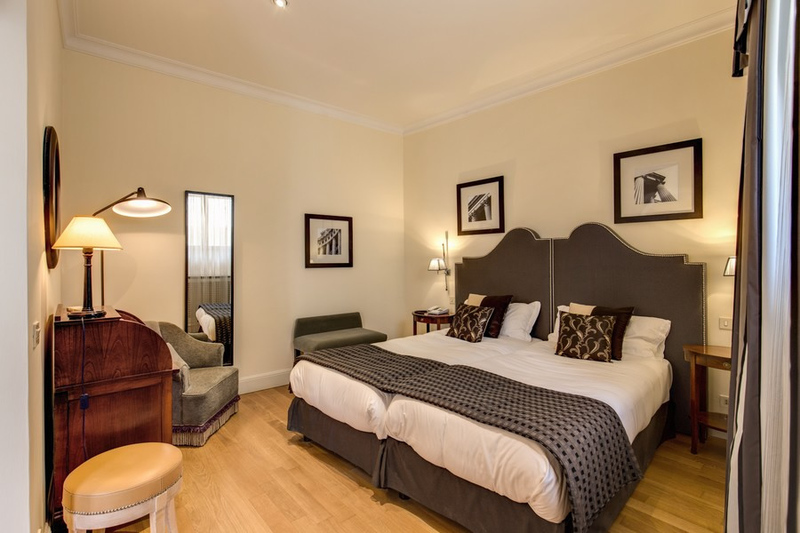 Hotel Cortina is a modest sized 3 star accommodation with just 14 guest rooms on Rome’s Via Nazionale. 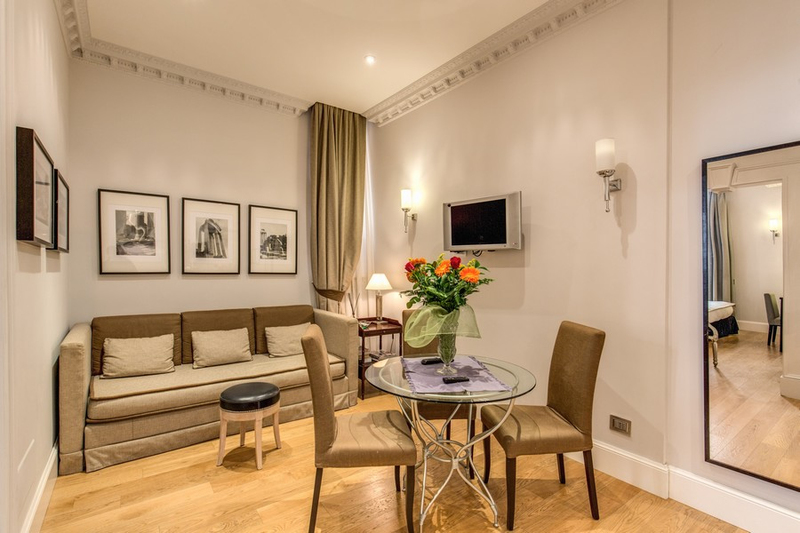 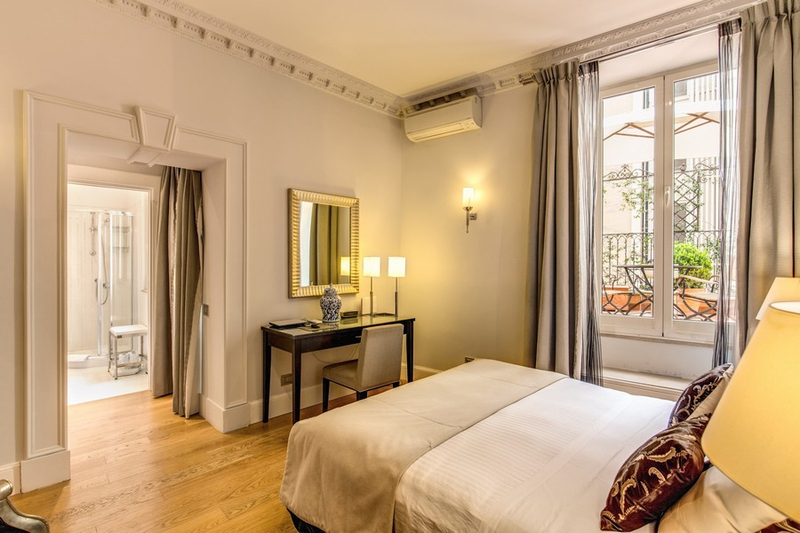 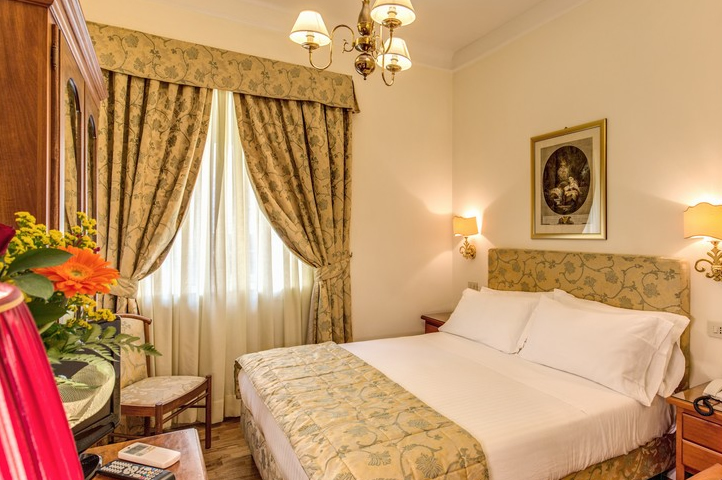 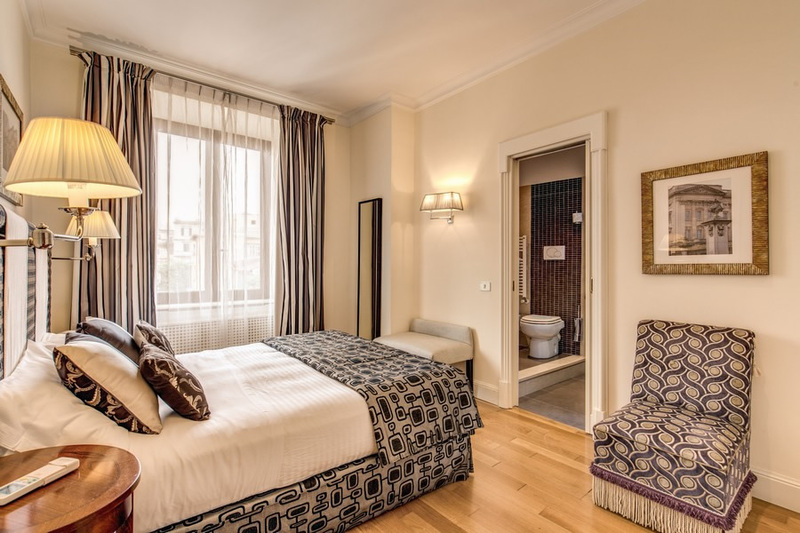 Property in the historical centre of Rome is at a premium, as some of our grandiose 4 star neighbours can testify, but here at the Hotel Cortina we’re able to make the most of the space we have, providing welcoming, functional accommodation that is both aesthetically pleasing and comfortable. 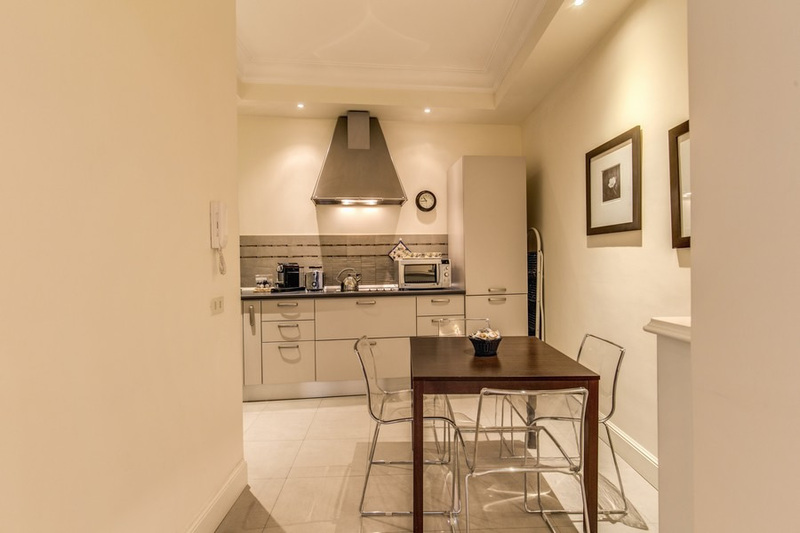 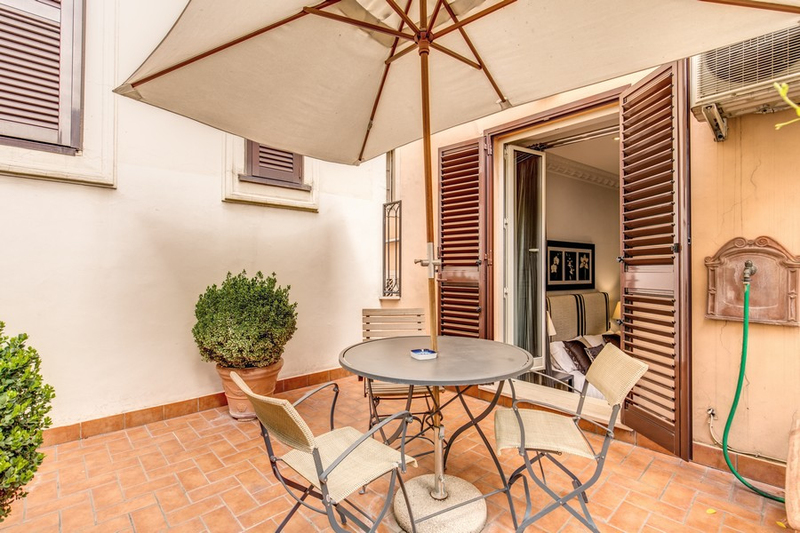 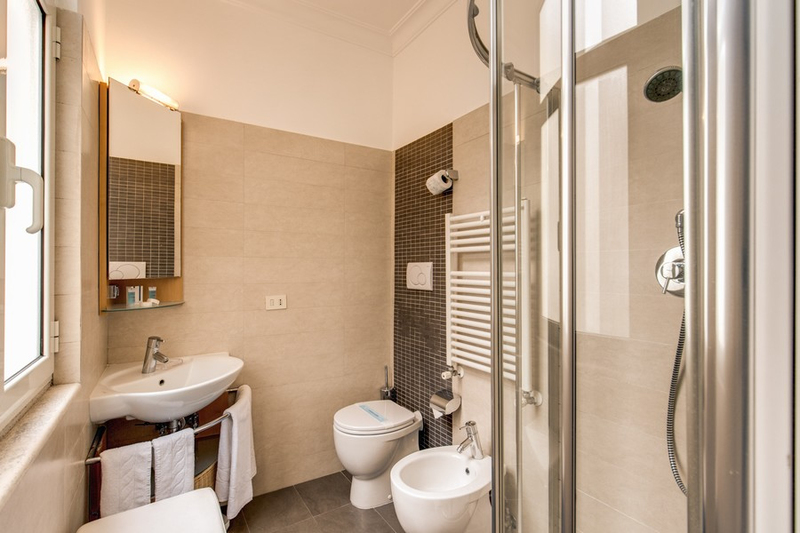 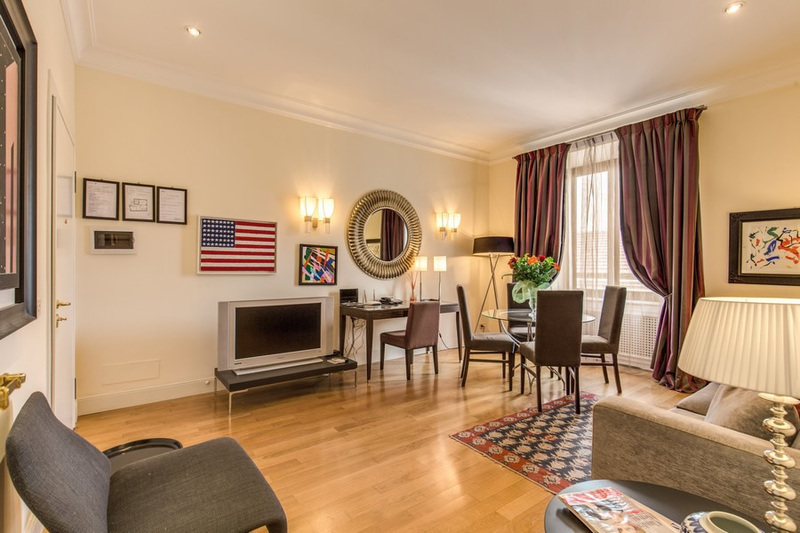 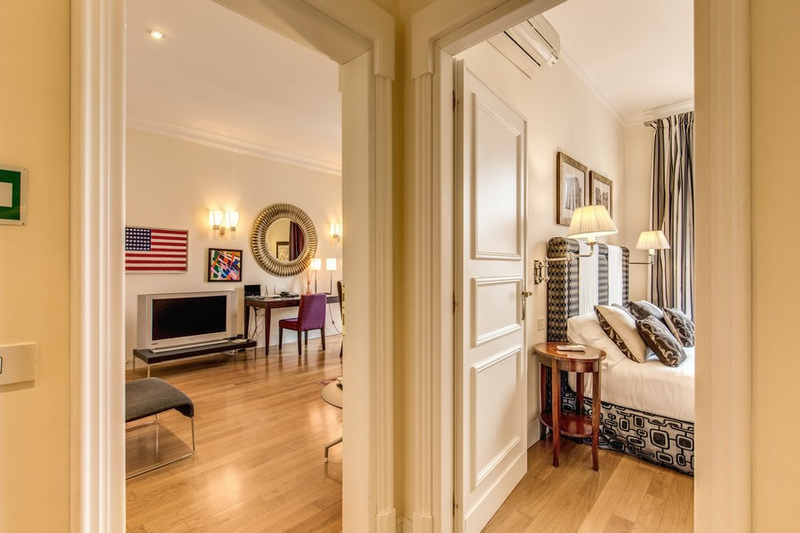 Just 20 metres from the Hotel Cortina Rome entrance, Apartment A has two double bedrooms both with en suites, making it ideal for a family, small group or two couples sharing. 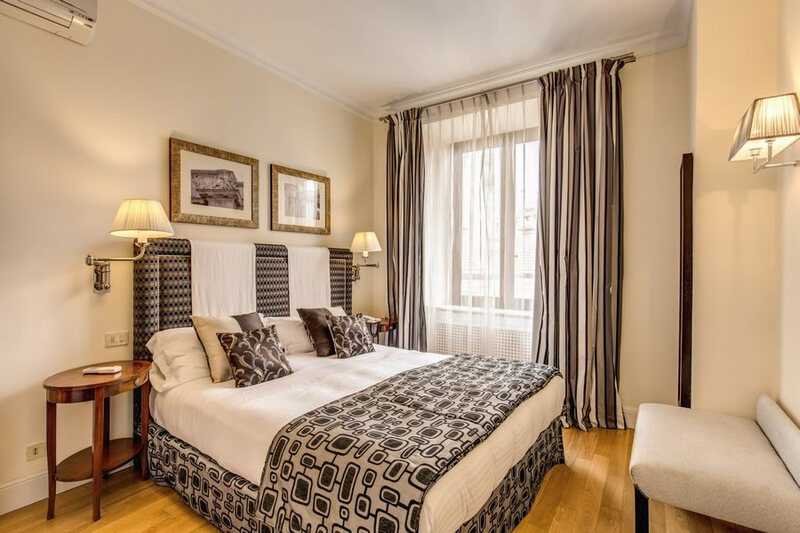 There’s a minimum stay rule of at least three nights and the apartment will be cleaned and linens changed every three days too. 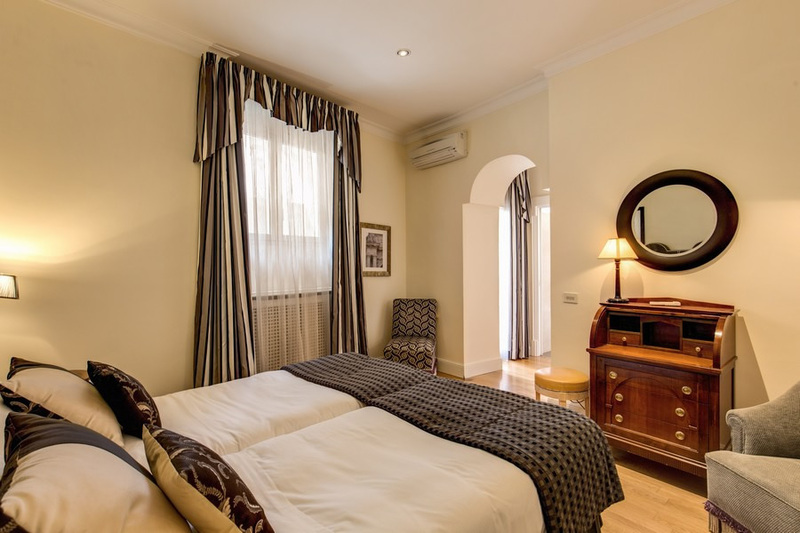 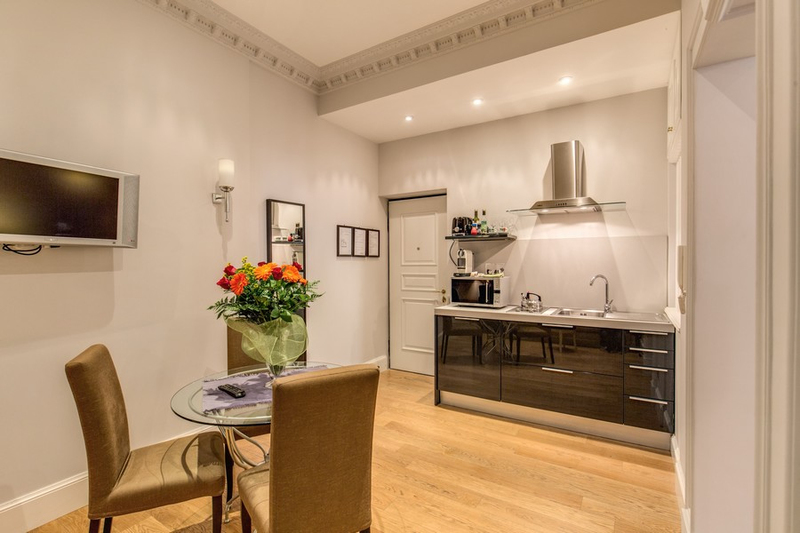 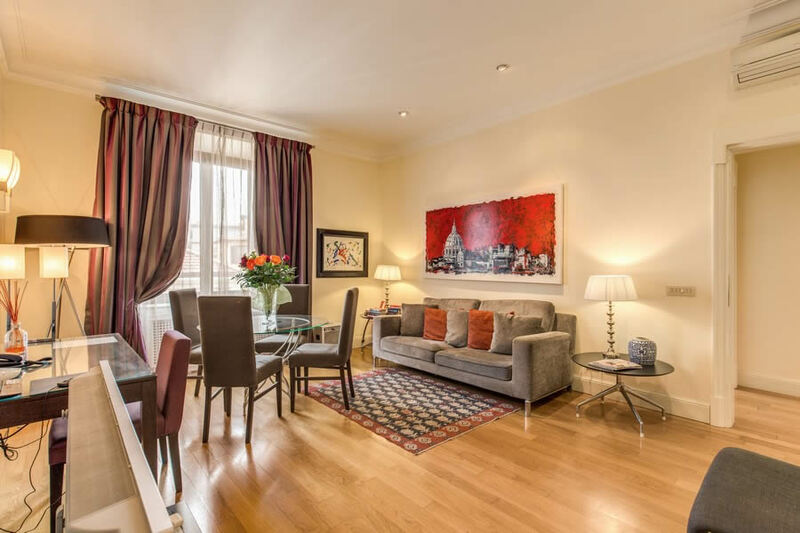 At the same address as Apartment A just 20 metres from the Hotel Cortina entrance and served by a lift, Apartment B is slightly smaller (which is reflected in the price), containing just one double bedroom and a sofa-bed in the living room large enough for a third person. 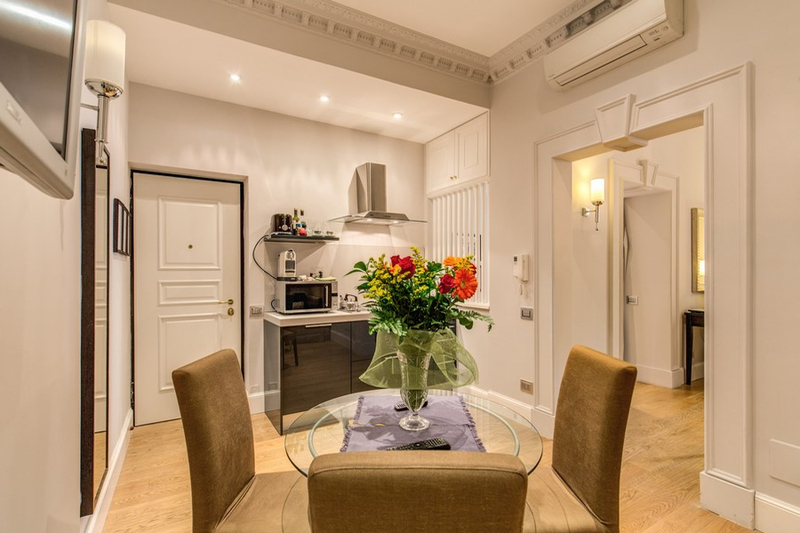 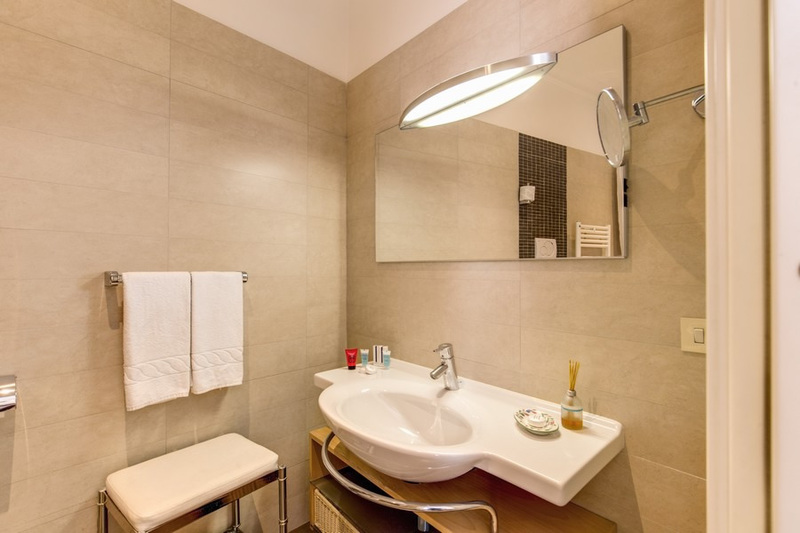 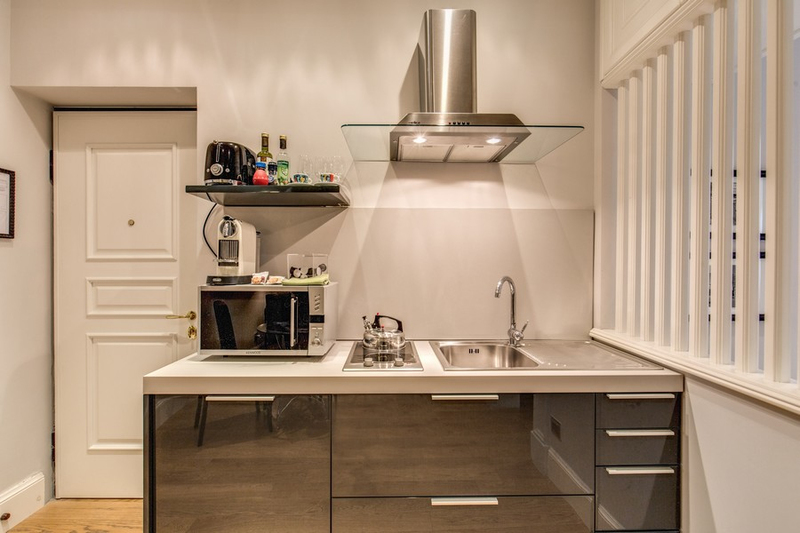 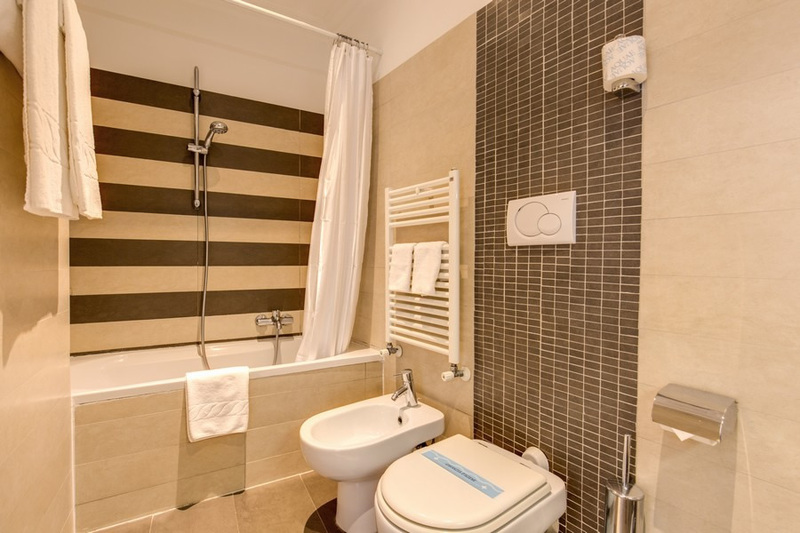 Both apartments are modern, stylish and have full kitchen facilities including microwave, and give guests the opportunity to really enjoy Rome with the freedom and privacy of having your own place, not to mention great savings by going self catering.